Former Prime Minister says PM Netanyahu wants new elections because of investigations against him and disagreements with US. Former Prime Minister Ehud Barak continued his recent aggressive line against Prime Minister Binyamin Netanyahu Monday. 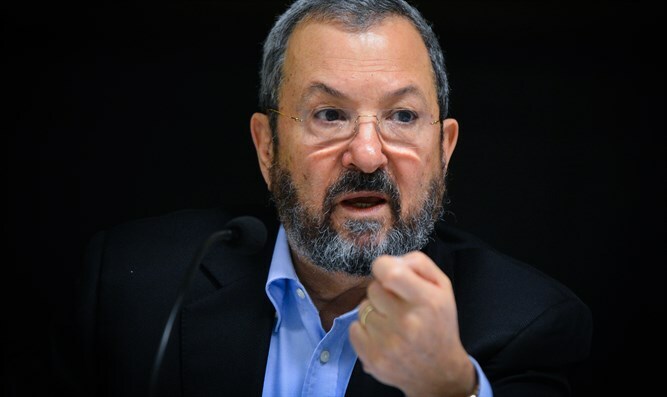 In an interview with Army Radio, Barak claimed that the Prime Minister's desire for early elections had nothing to do with the controversy over the potential closure of the Israel Broadcasting Authority. "It's not just the corporation. It's about the corporation, the investigations [against Netanyahu], and the realization that his [policies] are in opposition to the Trump Administration." "The Prime Minister is a smart guy, but he is weak, and he is under interrogation, and therefore he became obsessed with the corporation," Barack added. According to Barak, "going to elections costs the state billions, and does the same thing as a no-confidence motion to build a new coalition from the current Knesset." Despite his criticism of the Prime Minister, Barak declared that he would not seek to replace Netanyahu by running for the leadership of the Labor party or joining another political party.